Here are five images I’ve chosen as a way of summing up my year of wedding photography – not necessarily five of my favourites, just five that gave me something interesting to think about. The first, from a March wedding in Essex, was taken as the bride was getting ready. What I liked about this composition was the arrangement of the three figures and the flow from top right to bottom left. Of course, it is also part of telling the story of that part of the day. 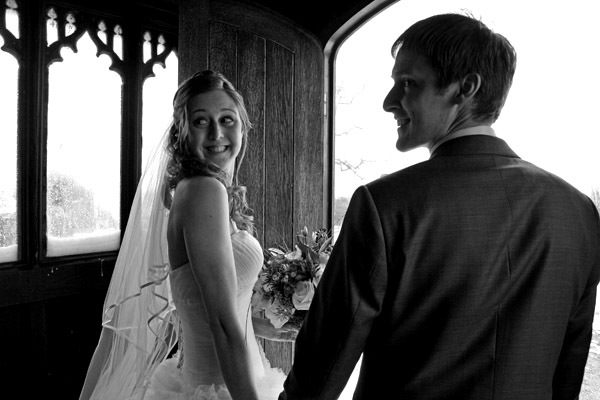 The second, also from a wintry March wedding, shows the couple on the point of leaving the church. Resisting suggestions to photograph them from outside the church door, looking in, I took photographs next to them looking out – not just to record the event in a documentary way, but to capture a natural expression. The third is from a June wedding in Norfolk, and the composition was again of interest, with the bridesmaid speaking in the centre, the groom looking around rather distractedly, and the woman bottom left looking out of the frame. 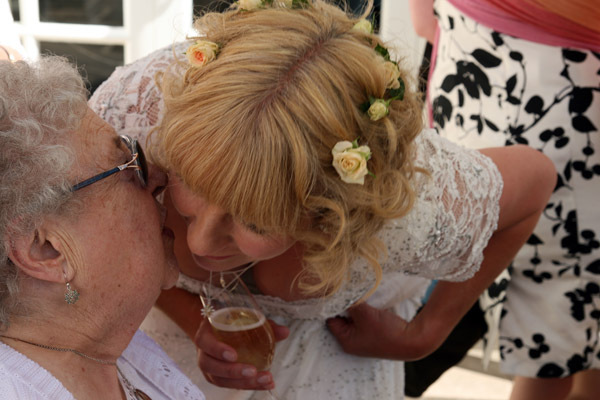 The fourth is also from a June wedding, showing a quiet and intimate moment between the bride and a guest. 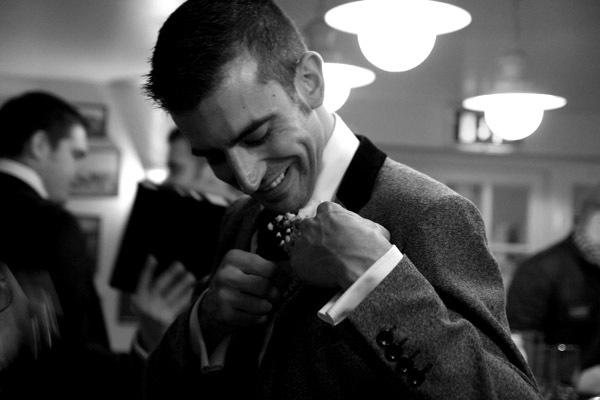 Finally an image from a November wedding in Suffolk, taken in the village pub before the wedding with the groom and groomsmen. Why can buttonholes often cause a problem? To sum up: an interesting year in which I photographed a small number of quite diverse weddings and also managed to come across weddings in such places as Germany and Italy, providing some additional images of the kind where wedding photography and street photography come together. It so happens the all but one of the five I’ve chosen here are finished in black and white, though this was not a deliberate intention. 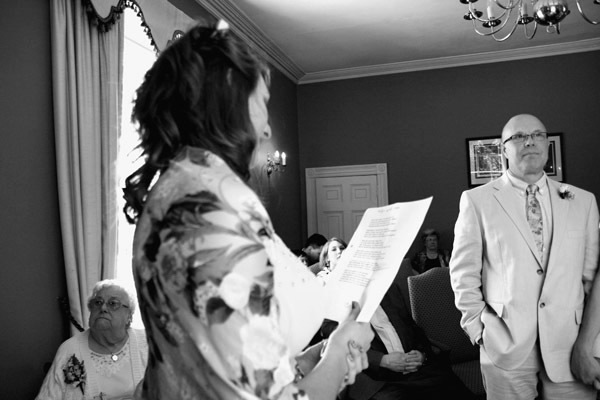 I’ve found that for wedding photography, around a third of my final selection of images will be in black and white. With personal work (see for example the lighthouse photographs in my personal projects) I will invariably print the colour originals. This entry was tagged documentary, Essex, Norfolk, photography, Suffolk, weddig. Bookmark the permalink. I've around ten years' experience as a photographer, initially in landscape and street photography, and more recently in wedding related photography and developing a documentary style. I've always been interested in people as subjects in my favoured documentary style. I am based just outside Norwich but am more than willing to travel further afield to photograph that special wedding or other project.